Act quickly... this may not last long. 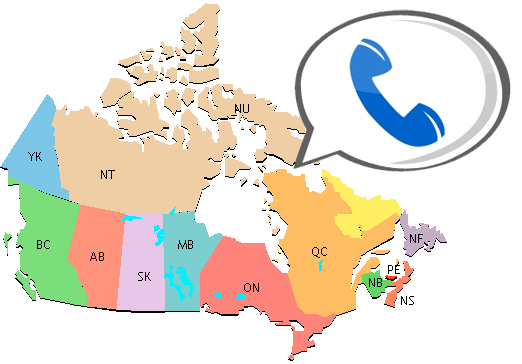 AAAND you don't get a Canadian number. But, at least you get A number to receive calls on. So, let's go and get our GVoice numbers now, show Google that there is a demand here in Canada to have it working. 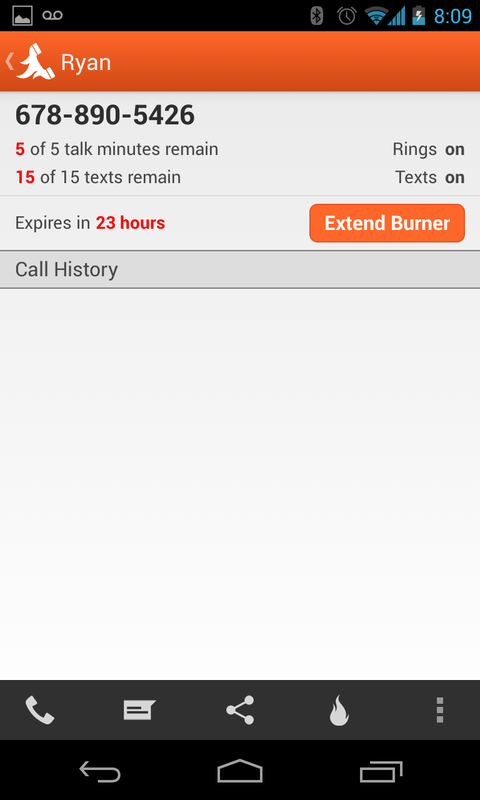 On your cell phone install then run the Burner app and it'll get you one free US phone number, it's only good for a little bit, but it's all we need. To do this it'll ask for a US number -- give it the burner. It'll give you a verification code to use when you get the call. It'll then call. What happens is that it'll give you a notification that a call is coming to it, then you'll receive a call from the burner number. Answer the call and hit 1 to accept burner to put it through. Then Google'll be on the line -- give it the verification code. On the web it'll ask you to set up your number. Pick a city close (I picked Duluth) and just take a number -- you can always change it later (though we'll need another US number to verify). 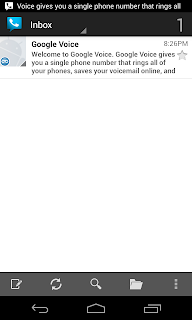 Before you forget (if you didn't do it on the phone call) go set up your voicemail pin. 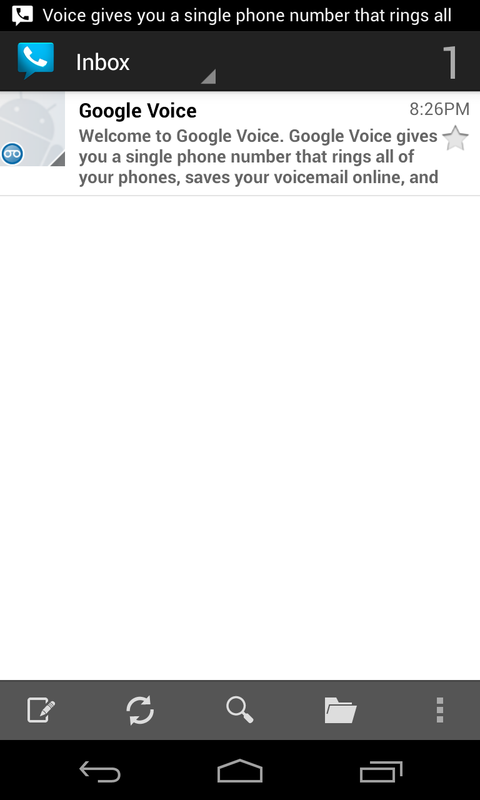 When you're in the Google Voice app, it needs to know your PIN. 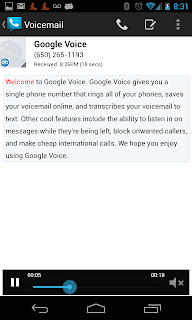 Run the Google Voice app on your phone and go through the walk through steps and you'll be good! Now you can run apps like GrooveIP. 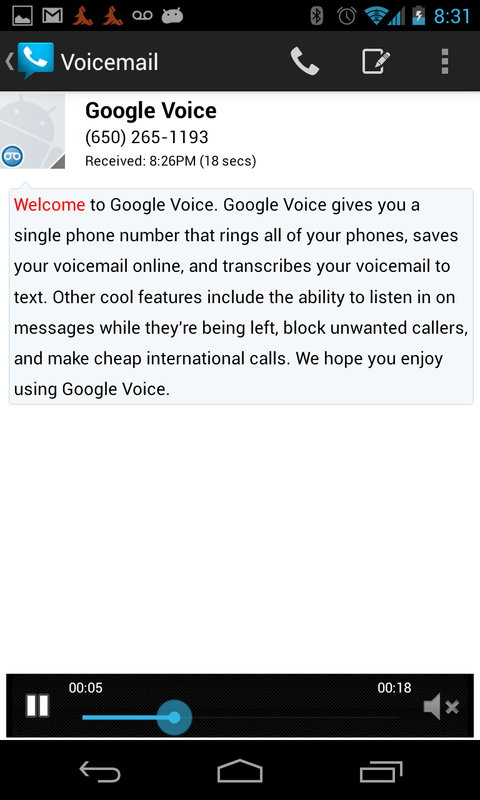 Sure, they would work fine to 'dial out' before, but now that you have a true Google Voice number, you have a number your Ameri-friends can call you at, and it'll route through GrooveIP or Google Chat (note, both need to have data to work -- so if you're travelling in the US you'll need to be in a WiFi zone). 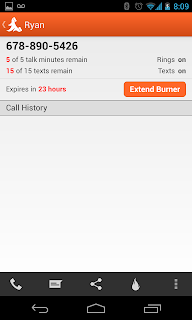 I disabled and uninstalled Burner after (but it could prove useful should I want to travel for a while), so I tried to get it to call my cell number, but it wouldn't work. So for now I just have it coming through GrooveIP or Chat. Not hella useful, but cool to have! Thanks Burner!